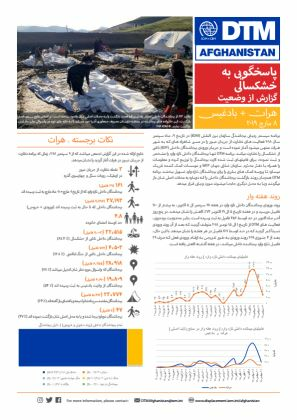 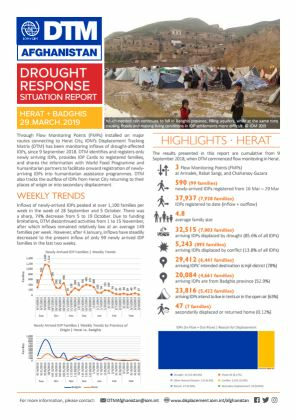 Over the reporting period, IOM maintained three strategically placed flow monitoring points (FMPs), where DTM teams monitor inflows and ouflows of IDPs, identify and register drought-affected IDP families, and provide newly arriving families with IDP Cards to facilitate their registration for humanitarian assistance. 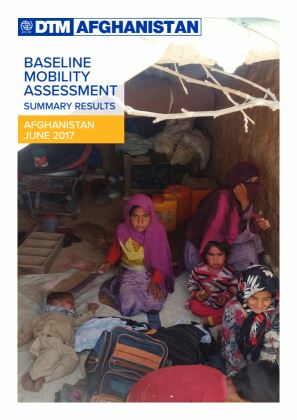 Since the incept of this activity on 9 September 2018, three FMPs were closed in Shedaye, Band Pashtun and Karokh. 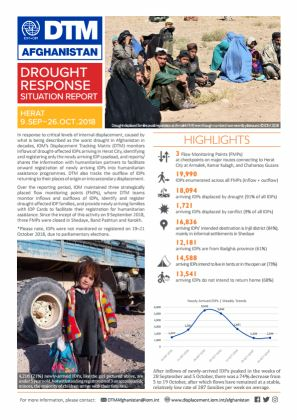 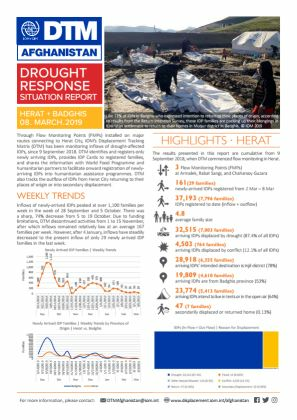 19,990 IDPs were enumerated across all FMPs (inflows and outflows), including 18,094 arriving IDPs displaced by drought (91% of all IDPs) and 1,721 arriving IDPs displaced by conflict (9% of all IDPs). 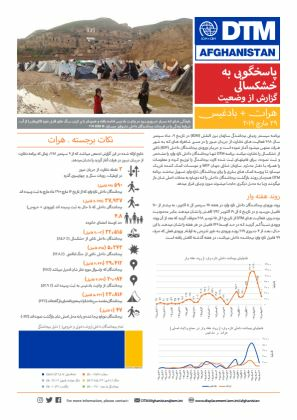 73% of the arriving IDPs intend to live in tents or in the open air.